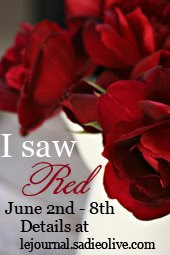 Sara at Sadie Olive is hosting a "I saw Red" show and tell from June 2 until 8 June. You can post something RED on your blog each day or like I am about to, just do one big RED post!!! I'm doing the one big RED post, because as usual I am late or running late to do the daily one as planned! Anyway, I love RED . 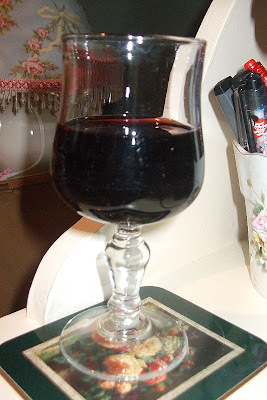 . . my daily glass of RED wine, for my health you know!